If you haven’t read any of Wendell Berry’s work, you should. 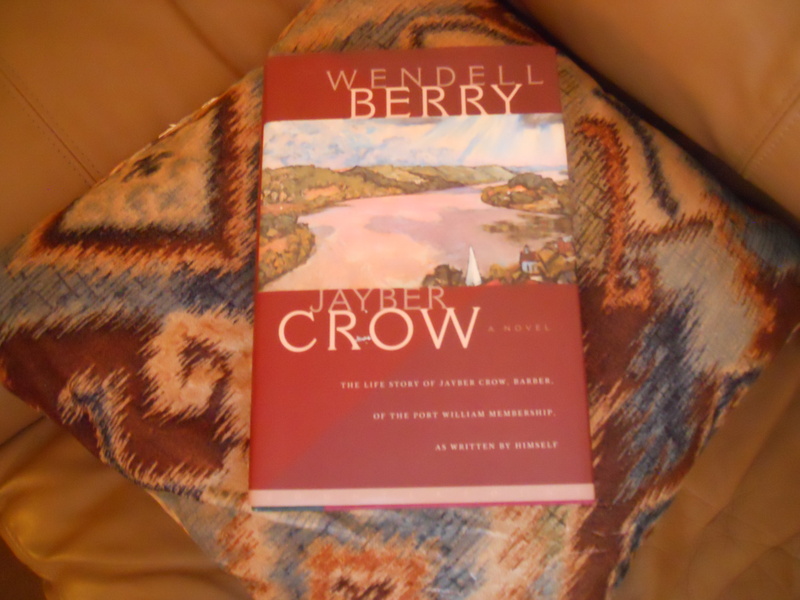 Jayber Crow is my second read from this author. I doubt I would have ever been exposed to his writing except for the gifting of a couple of books by a good friend. Both Jayber Crow and Hannah Coulter impressed me in a unique fashion. Trying to analyze just what Berry’s writing inspires in me is a challenge. The books are not “quick” reads, at least for me. There are too many thought-provoking insights into human thought, emotion, and behavior. I have to read and then digest and then read again. The descriptions of the fictitious Port William “Membership” invites one into a memorable world where God’s creation is appreciated, frugality is a way of life, and community is family. I love the images of traditional farming in the era before machines took over. I am intrigued by the author’s ability to describe with great insight into human nature the life journey of both men and women. I am gratified to read of the spiritual questioning that occurs in the lives of his characters. His stories are full of love and dislike (never hate), joy and sorrow, good fortune and tragedy, and details of the everyday lives of his characters that create in the reader’s mind a realization of the impermanence of this life and a desire to cherish each day. They are very much chronicles of living and dying with unforgettable characterizations that hang around in one’s cognizance for days and weeks and, I suspect, a lifetime. Berry has been characterized as a “writer of brilliant moral imagination”, and I believe that thread of morality is one of the pieces that draws me into the world of Port William. Isn’t that what our lives are about? Our hearts seek answers to spiritual questions, and it does, indeed, often take a lifetime to answer them. I think about the moral dilemmas we face in this generation–issues of sexuality and gender and substance use and caring for the less fortunate and how to provide healthcare and domestic violence and gun control. The list goes on and on. And, like Jayber’s professor notes a bit later in the text, I suspect it may take more than a lifetime to find answers. That is life’s essence, isn’t it? Searching for God. Searching for love. Searching for answers. Searching for the truth. Previous postOut of the fog……………. Next postA tribute. . . .